This post is sponsored by Swiffer® and the BlogPaws® Pet Influencer Network. I am being compensated to help share information about Swiffer products for pet parents, but we only share information we feel is relevant to our readers. Swiffer is not responsible for the content of this article. I used to be so good with our grooming routine. Mauja and Atka were being brushed most nights of the week. I’d turn on the TV and give them a nice brush to end the day. While grooming isn’t something they really enjoy, I have always found it relaxing. However, I’ve been seriously slacking recently and only been brushing them about once per week. My house has paid the price for that. Even with daily brushing, shed happens. There’s a common saying for pet parents of dogs with double coats: “My dog only sheds twice per year. For six months in the spring and six months in the fall.” It goes without saying that with only weekly brushing sessions, pet hair envelops my home. Talk about embarrassing if someone wants to swing by the house last minute! Thankfully, I’ve developed a super quick, super easy pet clean-up routine for when I slack in my daily pet grooming. Quickly vacuum the carpeted areas a guest might see. Run the Swiffer® Sweeper® on the laminate flooring. If I have an extra minute, I’ll run my Swiffer® Duster over the coffee table and entertainment center to remove the fur (how does so much fur end up on the elevated surfaces?!). The dry cloth for the Swiffer Sweeper has grooves which trap dirt, dust, and hair. The wet cloth easily dissolves dirt and grime without the hassle of a mop and bucket. The Swiffer Duster showcases Dust Lock Adhesive which easily cleans all the nooks and crannies in your house for a 3x better clean than a feather duster. Like every product, it isn’t perfect for all situations. Pyr fur is long and thick and when I only do weekly a brushing, there is a lot to sweep up. 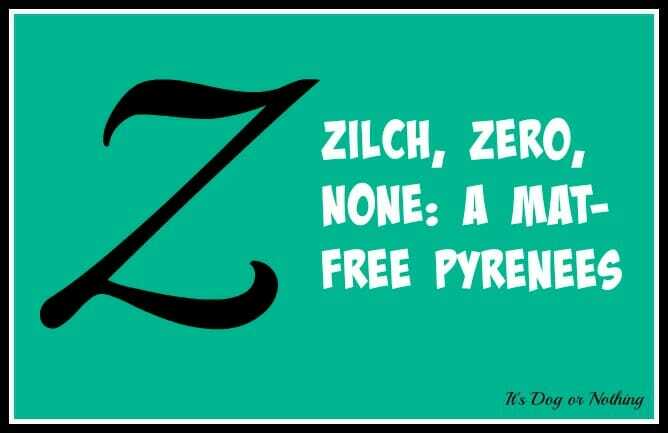 It doesn’t always “lock” the copious amounts of fur. However, it still does a great job of collecting the fur into an easy to manage pile while simultaneously trapping the dirt that brooms miss. I couldn’t agree more and want you to experience the Swiffer products for yourself. Enter the giveaway below for your chance to win a Big Green Box full of Swiffer products! Can’t wait? Visit Swiffer to learn more about how pet parents can keep their home clean and smelling fresh with the Swiffer® Sweeper®, the Swiffer® Duster and the Swiffer® Wet Jet. In the meantime, visit Swiffer on Facebook, Twitter, and YouTube and check out tips from Dr. Antin on Facebook and Instagram. We have one last super quick post to wrap up the challenge. Mostly, we wanted to offer a giveaway for another favorite grooming product: The Stuff. Dogs with long coats, especially long double coats, are highly susceptible to mats. Regardless of how much brushing you do, they’re bound to happen. Mauja and Atka tend to get them behind their ears every now and then. 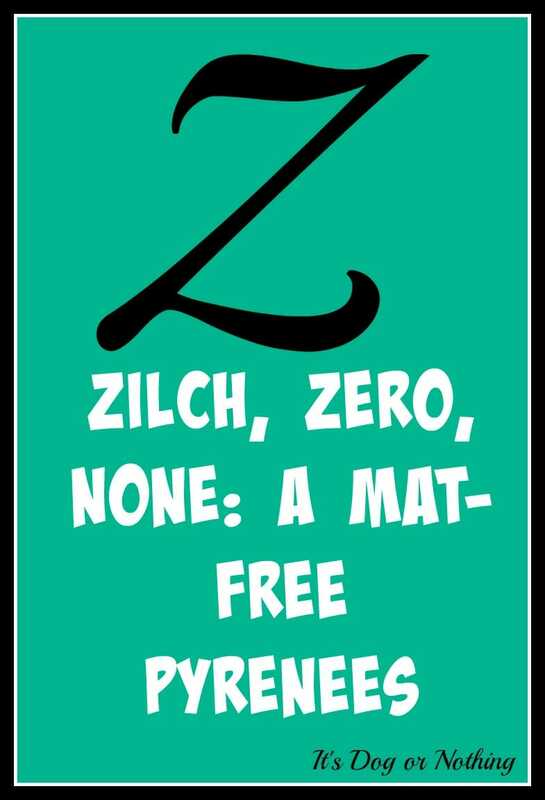 Cutting out a mat isn’t recommended – I’ve seen far too many injuries from people trying to remove mats. Thankfully, there’s a better way. Yes, this stuff is really called “The Stuff”. The Stuff is a leave-in conditioner and detangler to remove and prevent tangles. Not only does it condition the coat, but it is also formulated with silicone to repel dirt and dust. The Stuff is a non-toxic, hypoallergenic formula to prevent any possible reactions. I use it on wet and dry fur to keep their coats soft and shiny. If they do develop a mat, I simply spray it with The Stuff and then use the Safari De-Matting Comb to finish the job. Okay, I’m not going to ramble on about this product and how much we love it. It’s the end of a long, taxing challenge so I’m just going to jump straight to the good stuff – the giveaway! Would you like to try The Stuff on your dog? Enter the giveaway below for a chance to win! Guys, I really don’t know why it’s taken me so long to really mention this here on It’s Dog or Nothing. I link to this product all the time, yet I’ve never spent much time on it. Today, we will be talking about my absolute favorite tool for raking the fluffies’ undercoat: the Oster Grooming Rake. When Mauja started to get her adult coat, I decided to use the Furminator for brushing. I had purchased it for our lab/husky mix and it was absolutely ah-mazing. Unfortunately, I was not so thrilled when I used it on Mauja. The Furminator just ripped and tore her fur giving her the appearance of split ends! Needless to say, I was not pleased and began the search for a better way to remove the pesky undercoat. After being completely disappointed with a few grooming rakes from our local pet store, I stumbled across a discussion on grooming tools in one of the Great Pyrenees Facebook groups I’m a part of. There were a ton of recommendations, but the one that stood out to me most was the Oster Grooming Rake. I ordered it that day and have never looked back! It doesn’t scratch the skin. There was a brush I used to use (not a rake) with metal bristles. Atka absolutely hated when I used that brush. It took me far too long to realize that he didn’t like the metal bristles scraping his skin. Can you blame him? Fur cutting is minimal. My biggest complaint with the Furminator was that it cut their fur and made them look uneven. The Oster grooming rake gets out the dead undercoat with minimal cutting. I definitely notice a difference using this rake! It works. If you have a dog with a long, thick, double-coat, you know how difficult it can be to find appropriate grooming tools. 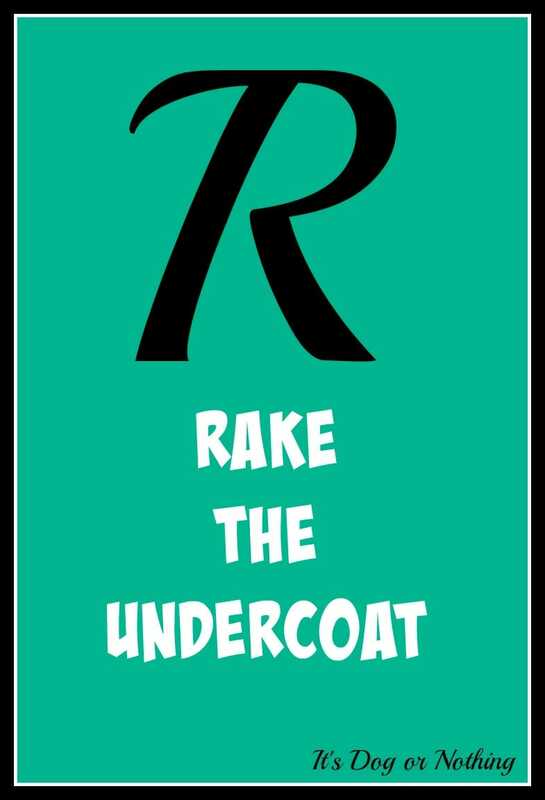 I tried so many rakes that just untangled the outer coat and left the undercoat to mat. While it doesn’t hurt Mauja and Atka, it definitely hurts me. After almost every brushing session, my hand is bright red and I usually end up with a blister or two. When things get really bad, I’ll put on a glove to keep it from destroying my hand! Other than the discomfort when brushing for long periods of time, I don’t have anything negative to say about it. For that reason, I want to offer a giveaway so one of you can try it for yourself! Enter using the widget below to win an Oster Grooming Rake! Have you ever tried the Oster Grooming Rake? 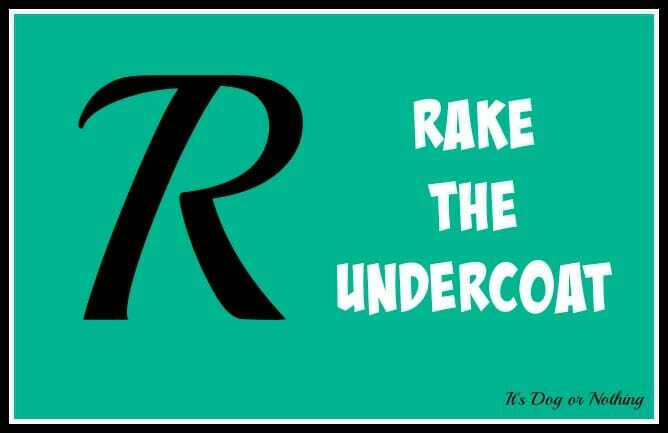 Do you have another rake that works wonders for the undercoat? I am not being compensated to talk about Oster and the giveaway is being hosted by us here at It’s Dog or Nothing!